An droplet that contains small particles will often leave "coffee ring" patterns on a surface due to an evaporation-induced flow. 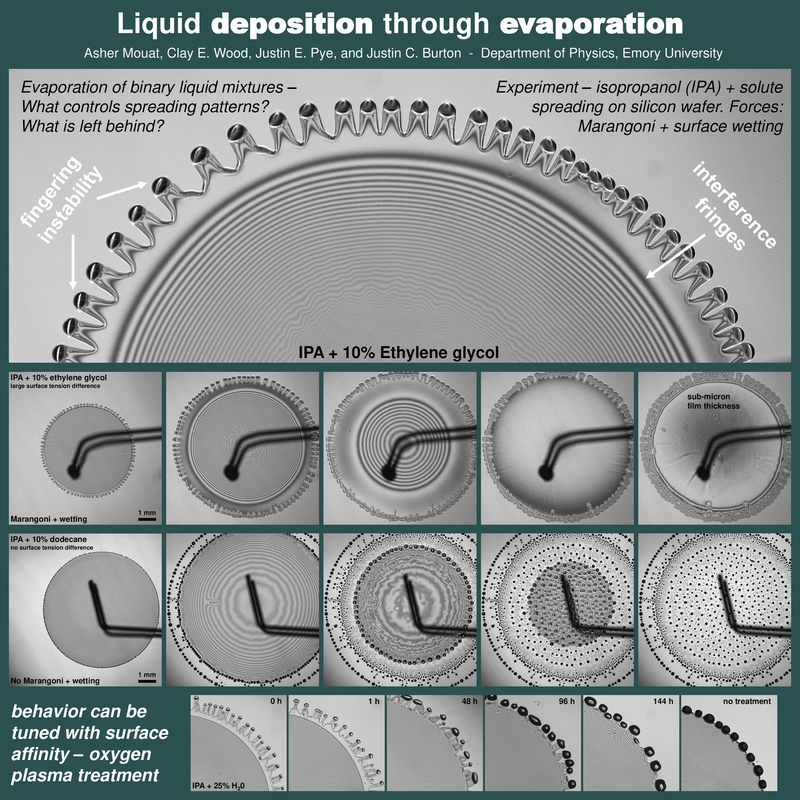 Here we explore a similar phenomena where a small amount of non-volatile liquid is left behind on a surface after the evaporation of a volatile solvent. The deposition pattern depends on the surface tension between the liquids, and the affinity of each liquid for the surface. The patterns range from extended "fingers" that leave a thin film on the surface, so bulbous "pearls" that are left behind as small drops. 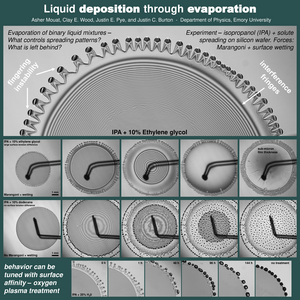 Finally, the behavior can be tuned by altering the hydrophobicity of the surface.